On Friday, a Bombay High Court bench comprising of Justice V.M. Kanade and Justice P.D. Kode reportedly observed that a mechanism should be developed to prevent custodial deaths and excessive use of force during interrogation. The petition was filed by the father of a custodial death victim, Agnelo Valdaris and three others. The four were held for a robbery case and were allegedly tortured and sexually abused by nine policemen of the Wada Railway Police Station, including a senior police inspector. It was alleged that they were beaten up for being in possession of a gold chain and a ring. Petitioners' lawyer advocate Yug Choudhary has denied all allegations. An FIR has been lodged against the policemen. The policemen have been transferred to regions outside Mumbai. The Government was asked to file an affidavit by June 17, elaborating on the development of probe on the issue. The petitioners seek a compensation of Rs. 1-crore for the relative of the deceased and Rs. 50-lakh for the three others. Even in March, 2013, Bombay High Court bench of Justice A.M Khanwilkar and Justice A.P. Bhangale had pulled up the State Government for repeated instances of custodial deaths. They were hearing a Public Interest Litigation filed in 2008 by the India Centre for Human Rights and Law (ICHRL). The figures submitted in the case were appalling, with 250 custodial deaths between 2001 and 2011. The public prosecutor was asked about the precautions taken by the government to prevent such instances. There is no exclusive law preventing such torture in India. Section 330 and 348 of the IPC penalizes acts which can be categorized as torture, with a sanction of seven and three years of imprisonment respectively. However, this law deals with regular offences and attracts no specific significance when committed by a police officer. It doesn’t cover all aspects of torture as covered by the UN Convention. In the absence of proper forensic medical examination of a victim and the complete absence of a witness protection mechanism, the acquittal becomes simple. Such crimes have been recognized by the courts, way back in 1981, in the case of Kishore Singh V. State of Rajastan, with the Supreme Court observing that "...nothing is more cowardly and unconscionable than a person in police custody being beaten up and nothing inflicts deeper wound on our constitutional culture than a state official running berserk regardless of human rights". NHRC, in its annual 1997-98 report, noted that addressing problems of custodial violence has been a major priority of the Commission ever since it was established and highlighted the lacunae in the system. It said it has been disturbed by the unsatisfactory quality of post-mortem reports received in respect of custodial death cases. The Commission has felt that the autopsy forms used in the various States were deficient and needed considerable improvement. The Supreme Court in 2006, in the case of Sube Singh v State of Haryana & Ors. had observed that custodial deaths or torture leads to violation of humans rights guaranteed under Article 21 of the Indian Constitution. The Court sought a balance between rights of prisoners as well as police duty to discharge their duties fearlessly and effectively. The Apex Court in this landmark judgment has elaborately discussed the evolution of award of compensation as a public law remedy and also about the reasons for police excesses and has suggested remedial measures. It said that custodial violence requires to be tackled from two ends, that is, by taking measures that are remedial and preventive. The same year, in Prakash Singh and Others v Union of India and Others the Supreme Court of India passed seven directives for structural reform of the police. As one of the seven directives, the Court ordered all state governments and union territories to establish Police Complaints Authorities (PCAs) at the state and district levels, with immediate effect. 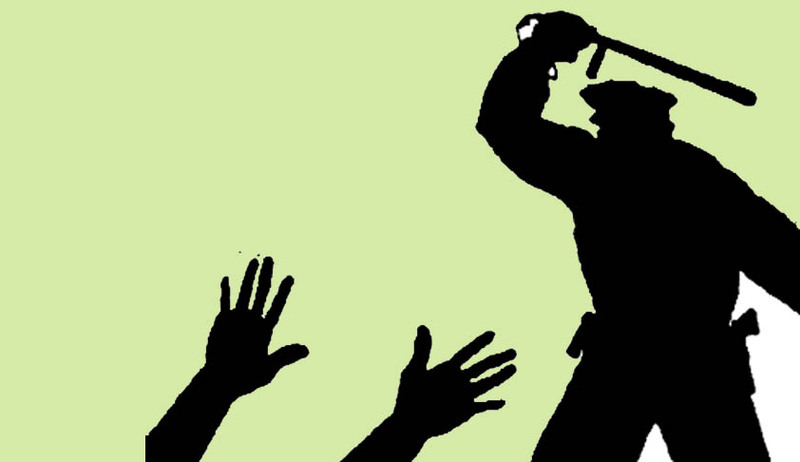 Study undertaken by the Commonwealth Human Rights Initiative (CHRI) showed that seven years after the directive, 15 states have passed Police Acts that create the authorities. Of them, only seven have authorities both at the state and district levels, while five have only state authorities. The report titled, “Police/Custodial deaths-2013” as compiled by Fr. Paul G Documentation Centre is a collection of several such instances in the year 2013. The number of such instances, as reported throughout the year, is atrocious. According to the National Crime Records Bureau of the home ministry, Maharashtra tops the list of custodial deaths in the country in the past 10 out of 12 years; in that entire period, it recorded about 23% of such deaths in the country. Of the 1,242 custodial deaths recorded from 2000 to 2011, 297 were reported from Maharashtra. In 2011, most number of such deaths-40 out of 122-in the country is from the state. Among those 40, 32 of the accused had not been remanded in police custody by a court, pointing to alleged illegal detention by cops. Such instances aren’t exclusive to India. However, India stands out as the sore thumb in the comity of nations, for not having ratified the UN Convention against Torture, being in the company of half a dozen tiny nations such as Comoros and Guinea-Bissau. India has failed to outlaw torture and provide for a sanction, despite signing the Convention. An attempt to ratify failed in 2010 after rights campaigners pointed out gaffes in the draft Bill and a parliamentary committee began to examine it. Urgent reforms are required in this area, to prevent further abuse of power.